The new software is available through the Mac App Store, as well as the Apple Software Update tool on Windows systems. Apple's own release notes don't make mention of changes other than those previously included in 12.6, primarily multiscreen movie rentals. The "Show on Profile Page" option, found in playlist editing tools, was earlier highlighted on Reddit. 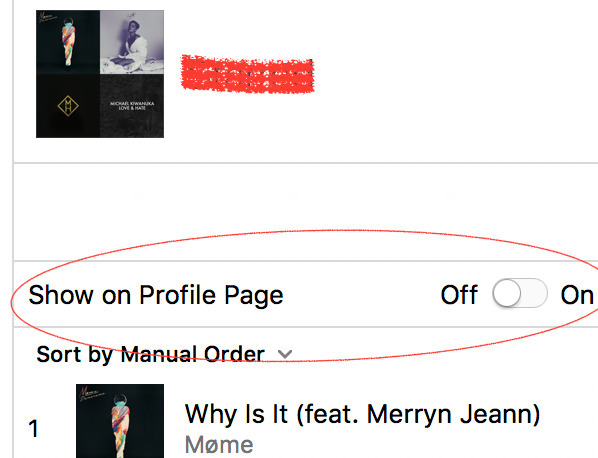 It's non-functional, and may point to Apple Music subscribers getting their own Spotify-style profiles in the near future. If so profiles would presumably let people connect with each other and/or create public playlists that other subscribers can discover. That could help keep listening fresh, since Apple Music's existing playlists are curated by staff —which may not provide enough new music for some people, especially fans of less popular genres. It's not clear when Apple would turn on profiles, but they could be announced at this year's Worldwide Developers Conference in June. WWDC is where Apple Music was first introduced, and the company regularly uses the event to showcase future versions of its apps and operating systems. Spotify remains the industry leader in on-demand music, with approximately 50 million paid subscribers versus Apple's 20 million. The company is working on its own ways of keeping ahead, such as a possible lossless audio tier.